Be sure to view the information and to RSVP by March 31 for your free lunch. Flyer link is here! Applications are being accepted for the HLAA- Michigan State Association’s Board of Trustees. You do not need to be in a local Chapter but you do need to be a member of the Hearing Loss Association of America organization. The Board meets 3 times a year. 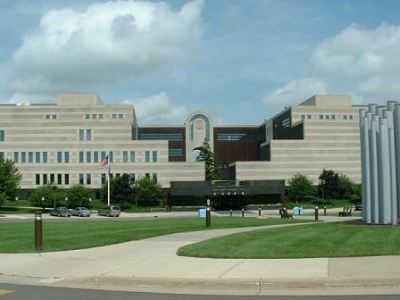 Elections are held at the Annual Meeting in April. Hearing Loss Association of America, Michigan State Association is offering a scholarship to the National Convention! Deadline to apply is March 1, 2019!! Sign up to receive notifications of events like our annual meeting, Walk4Hearing events in Michigan and other happenings. We open the world of communication to people who have hearing loss by providing information, education, advocacy, and support. 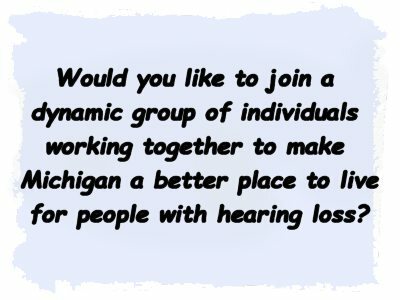 Hearing Loss Association of America, Michigan State Association is an all-volunteer non-profit organization providing information, advocacy and support for people who do not hear well. Whether you are a person with hearing loss, a healthcare worker, a service provider, a family member, a friend, a neighbor, an employer or a co-worker of a person with hearing loss, our organization can give you information, insight, inspiration, and resources to understand and cope with hearing loss. Hearing loss can be traumatic, not only for the person with the loss but also for family, friends and co-workers. As the sounds around us fade, we often feel disconnected from our environment and very much alone. It’s common to feel that no one understands. We do understand! 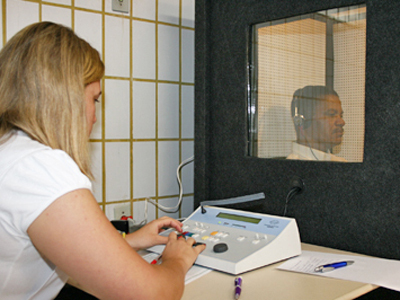 We are part of a national organization of people with hearing loss helping each other. We are in this together… learning to cope, to grow, to change our thinking about our hearing loss and to appreciate our abilities. 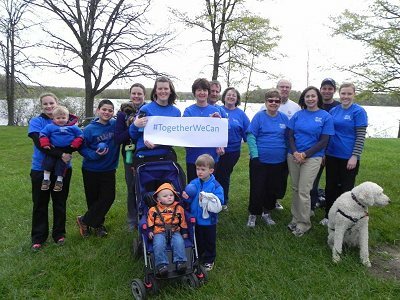 Experience the support of other people with varying degrees of hearing loss in Chapters throughout Michigan. Share your successes, frustrations and insights with people who will understand what living with a hearing loss is like. You are not alone!